SEOUL, Aug. 16 (Yonhap) — South Korean police comedy-action film “Midnight Runners” will be shown in 12 regions overseas, its local distributor said Wednesday. Beginning in Indonesia on Aug. 23, the movie will open in North America on Aug. 25, Australia on Aug. 31 and later in New Zealand, Hong Kong, Britain, Singapore, Malaysia, Japan, Taiwan, the Philippines and Vietnam, Lotte Entertainment said. 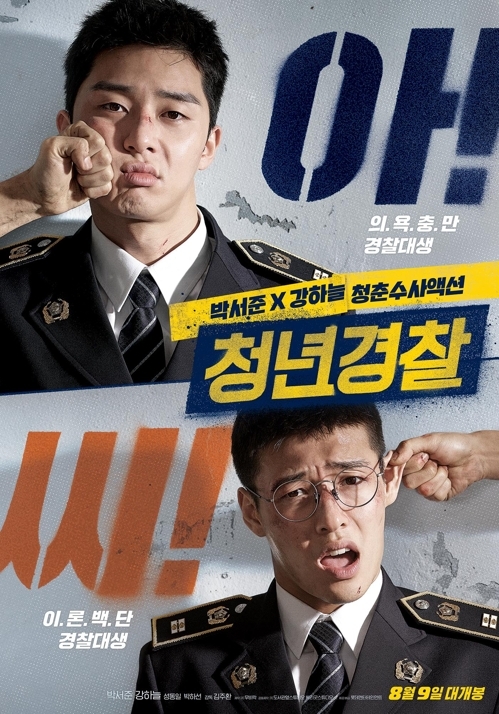 Directed by Jason Kim, the film starring Park Seo-jun and Kang Ha-neul revolves around two students at the Korean National Police University who are embroiled in a kidnapping case that they witness at midnight. It has drawn 2.7 million moviegoers since its premiere in South Korea on Aug. 9.